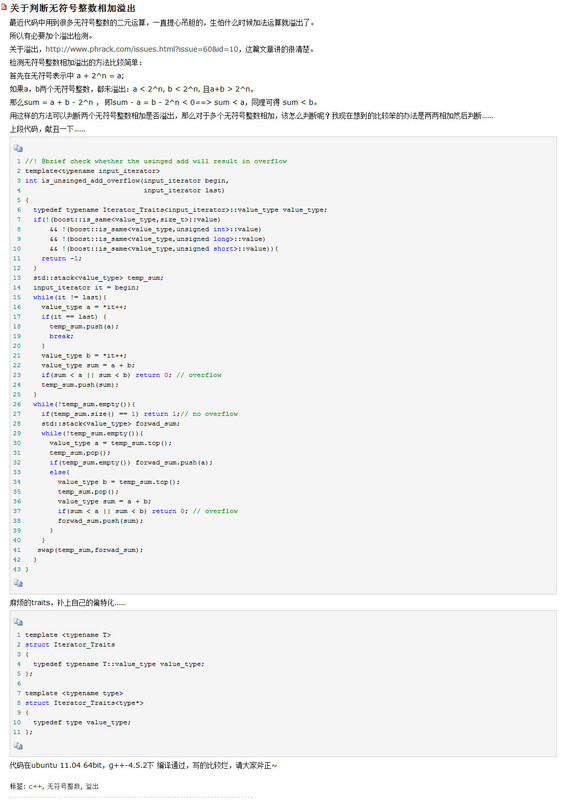 cscope，ctag：在linux中浏览代码很有用，可以找到function definition, struct definition, calling function, called function. Suppose I have the following C code. Your i will be converted to an unsigned integer by adding UINT_MAX + 1, then the addition will be carried out with the unsigned values, resulting in a large result (depending on the values of u andi). If both operands have the same type, then no further conversion is needed. Otherwise, if both operands have signed integer types or both have unsigned integer types, the operand with the type of lesser integer conversion rank is converted to the type of the operand with greater rank. Otherwise, if the type of the operand with signed integer type can represent all of the values of the type of the operand with unsigned integer type, then the operand with unsigned integer type is converted to the type of the operand with signed integer type. In your case, we have one unsigned int (u) and signed int (i). Referring to (3) above, since both operands have the same rank, your i will need to be converted to an unsigned integer. When a value with integer type is converted to another integer type other than _Bool, if the value can be represented by the new type, it is unchanged. This is guaranteed to be portable regardless of the signed number representation of the system because of the conversion rules described above. See this SO question for more information: Is it safe to use -1 to set all bits to true?